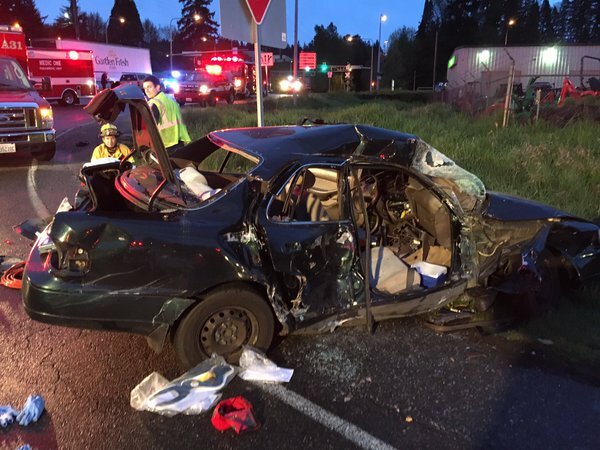 Three people were injured in Woodinville, Washington today in a crash involving two cars and a semi truck. At least one car rolled over during the crash. Two people were transported to Harborview Hospital in Seattle with serious injuries, and a third with less severe injuries received treatment at EvergreenHealth. NE 195th St was closed surrounding the scene of the accident for two hours while emergency responders investigated and cleared debris from the road. The cause of the crash is still under investigation, and police have not told reporters whether or not they believe drugs or alcohol were a factor in the collision. The initial investigation period is crucial after a semi-truck accident, especially when severe injuries are involved. Trucking companies may send private investigators or attorneys to the scene of the accident to conduct their own inquiry into the facts of the accident. Because damages can be so high in these cases, trucking companies have a strong incentive to fiercely defend claims. Who was at fault in the accident? Do the driver’s logs show that he or she was on the road without rest for too many hours before the accident? Was the truck traveling too fast for conditions at the time of the crash? Was the truck driver distracted by anything happening in the cab at the time of the crash? Were any of the drivers involved in the crash suffering from impairment caused by illegal drugs, alcohol, prescription drugs, or other intoxicants? Did the truck driver have a history of violations on the road? Did the company that hired the truck driver have a history of negligence in the hiring process? Was the truck marked properly? Were other drivers on the road able to see the truck clearly during the early morning hours? The award-winning trucking accident attorneys at Davis Law Group can help you understand your legal rights and options after a serious crash, including whether it makes sense for you to hire a lawyer to handle your case. Hiring the right attorney to represent you in a commercial vehicle accident case is crucial to a successful outcome.